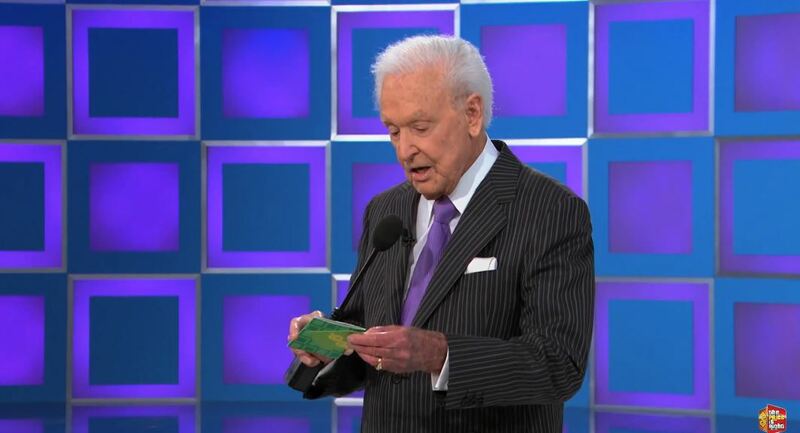 Beloved game show host Bob Barker made a surprise return on the Price is Right. Barker received a standing ovation from an audience that went nuts at the sight of the former host of the popular daytime program. Barker appeared on the show as part of the show’s April Fools’ Day episode. The 91-year-old did not miss a step, even subtly helping one of the show’s contestants win a car with a hint during the Lucky $even game. Barker retired from the Price is Right in 2007 after hosting the CBS morning staple since 1972. Comedian Drew Carey succeeded him in the role. Carey took over for the long-time host after the first commercial break — but not without first receiving a warm embrace. The Price is Right also made the Internet rounds this week for model Manuela accidentally giving away a car. “Congratulations! Manuela just gave you a car!” a hysterical Drew Carey said.